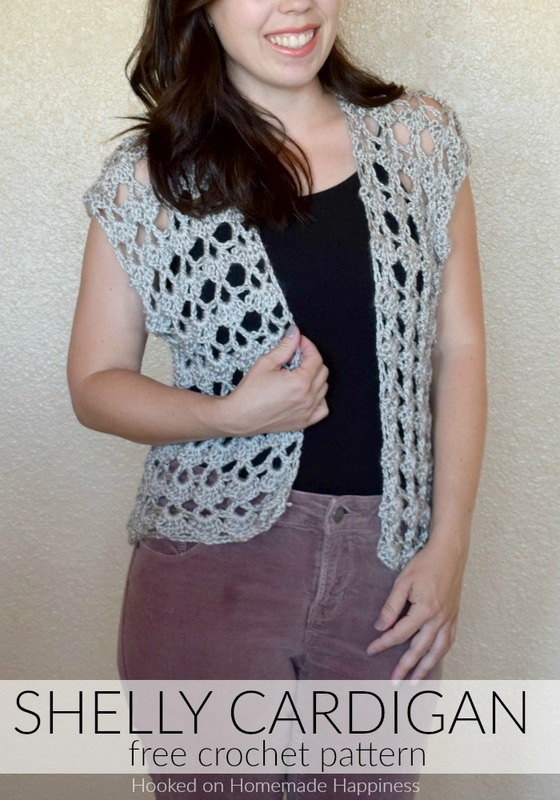 The Shelly Crochet Cardigan has a pretty, lacy shell stitch. It’s open, airy, girly, and the perfect summer accessory! 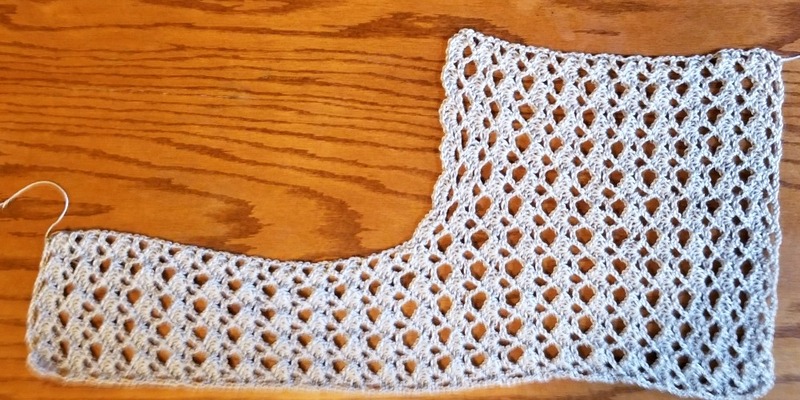 It has a feminine, lacy look. 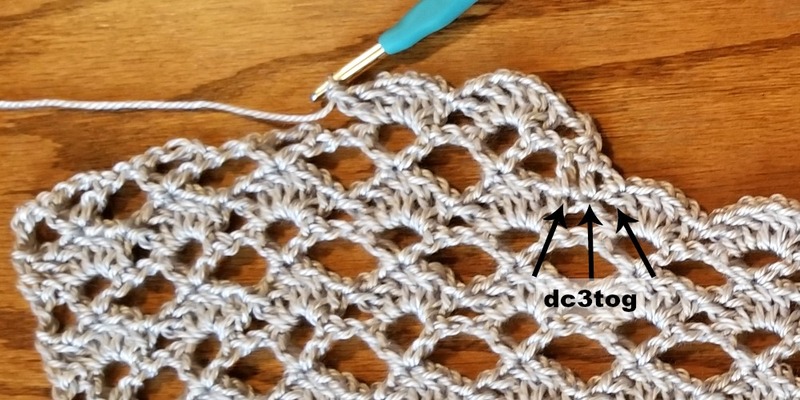 And with an easy two row repeat, it works up rather quickly! 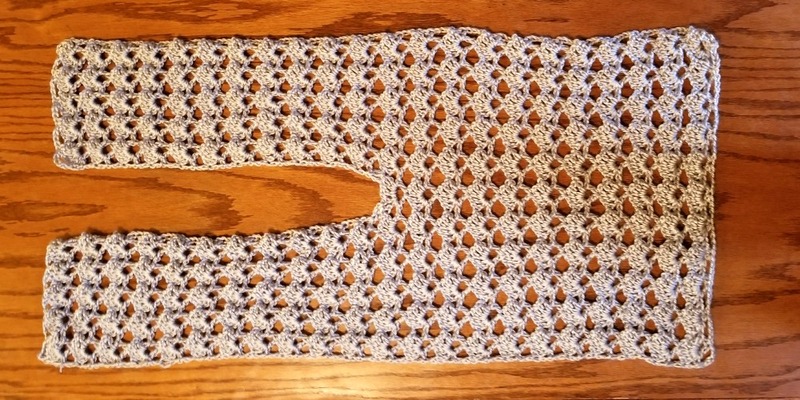 I will say that after all was said and done, I’m not a fan of my yarn choice. I like the silver sheen, but it was splitty and hard to work with. Now after wearing it a couple times, it’s become rather fuzzy. 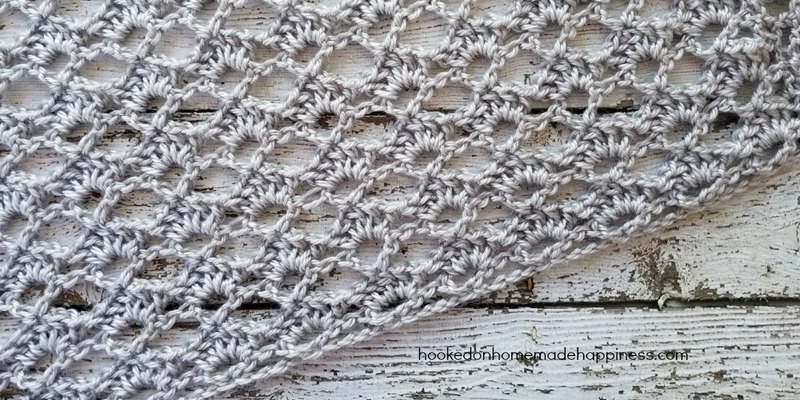 If I make one again, I’ll most likely choose a cotton yarn instead. 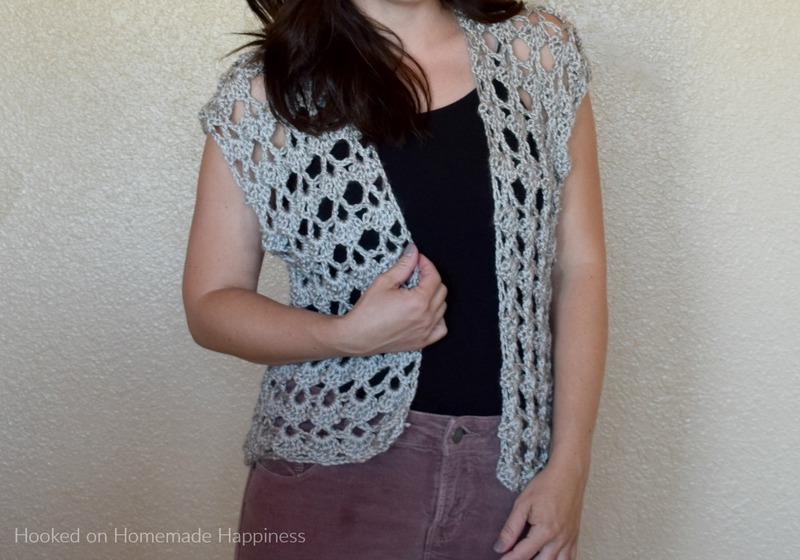 This cardigan can be dressed up or down… either way I’m in love with this piece! I really enjoy making clothing pieces. 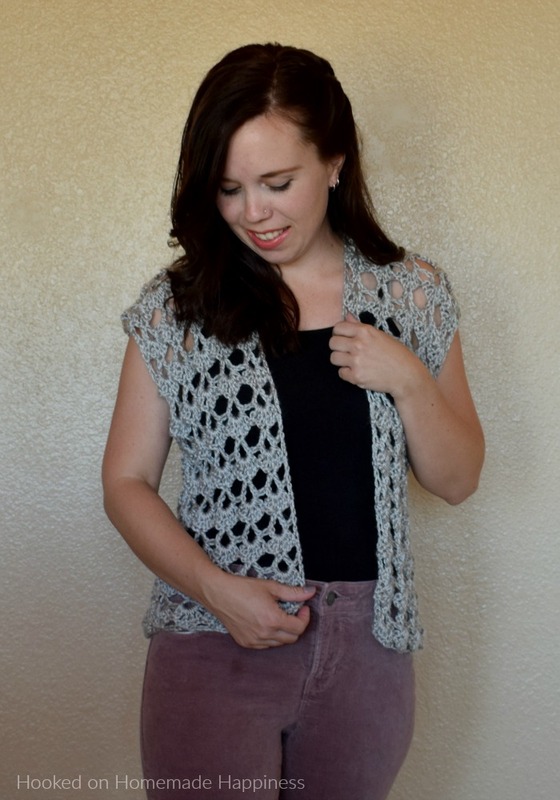 This cardigan is definitely one of my favorite pieces so far. Now you will work on the second front panel. Turn work so the finished front panel is on the right. 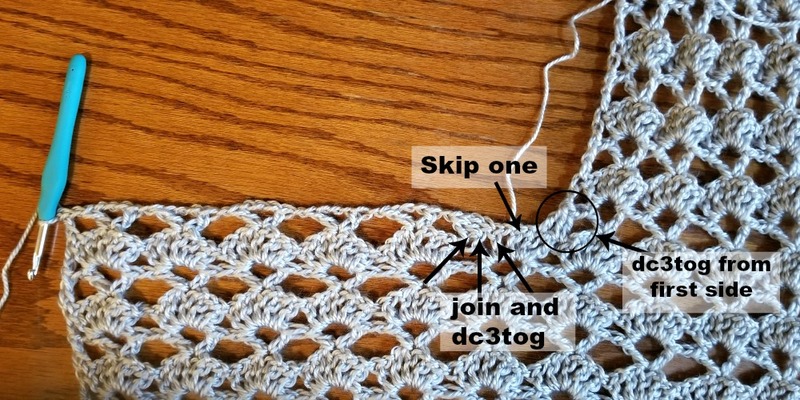 You will work in the center shell with your dc3tog in row 22, (24), . 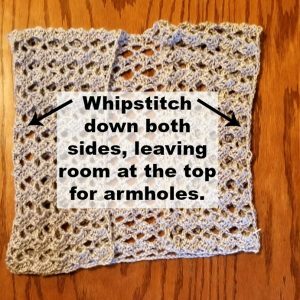 Using a piece of yarn twice the length of the area you want to stitch and your yarn needle, whipstitch the sides closed. Leave room at the top for armholes. This is beautiful! 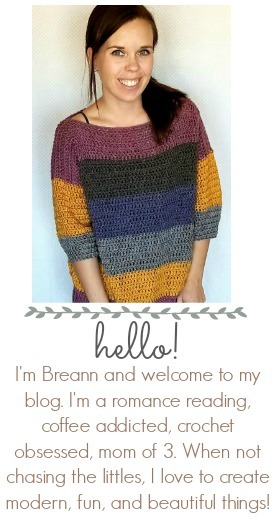 My daughter has been wanting me to crochet her a vest and this is perfect. I will make one for here and one for me. Love all you work !!! 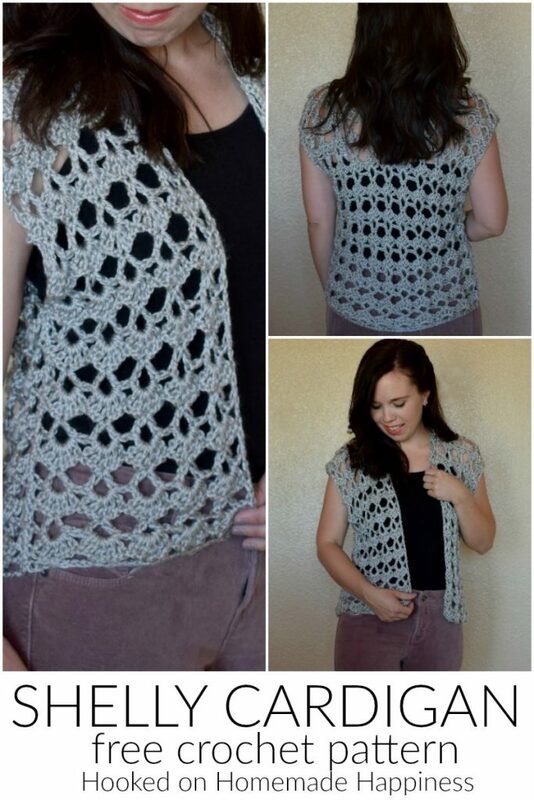 I purchased the pattern for the Shelly Crochet Cardigan a couple days ago. Super easy to make with great instructions!